5 May 2015 Washington, D.C.
Nadir Soofi, who, along with accomplice Elton Simpson, attempted to commit mass murder at a “Draw Muhammad” free speech event in Garland, Texas on Sunday, showed no signs of having the potential to carry out such heinous acts, his grandmother said Monday. Armed with AK47 assault rifles, Soofi and Simpson attempted to storm the free-speech event just as it was ending, hoping to inflict maximum damage upon the civilians inside. The “Draw Muhammad” cartoon competition was hosted by anti-Jihad activist Pamela Geller and featured Dutch politician Geert Wilders as its keynote speaker. Both have been marked for assassination by jihadist entities. According to some reports, the two men were carrying out the attack on behalf of the Islamic State terror group, though Simpson had been previously arrested for expressing interest in the Somali terrorist group Al Shabaab. “Whoever he was with talked to him into it,” said Shirley Dromgoole, the grandmother of the now-deceased jihadi Nadir Soofi. “He was a good boy every time I saw him. Real responsible. Respectful,” Dromgoole told NBC affiliate KPRC. “I didn’t think anything of it,” Soofi’s grandma said of his Muslim faith. “He didn’t make any big deal of it. I would just try to fix stuff while he was here that he would eat,” she added. “He tried to do good at whatever job he did. He had a good education,” Dromgoole said. 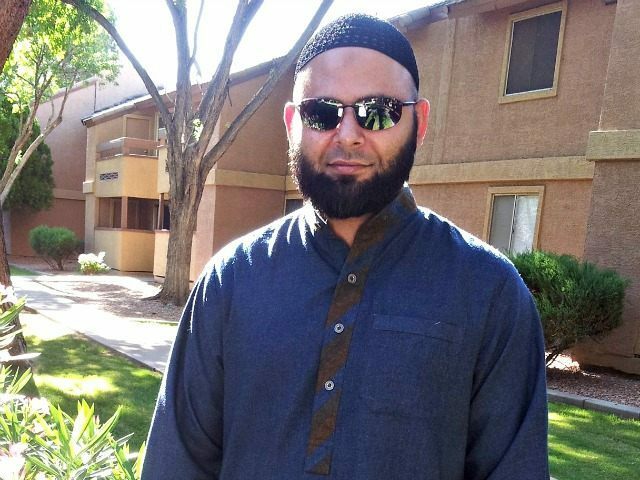 However, according to Salt Lake County records, when Soofi lived in Utah, he was arrested and booked on at least three separate occasions from 2001-2003. Additionally, representatives of the University of Utah confirmed that he was a student at the school from 1998 to 2003 but did not complete his degree. It remains unclear if his multiple arrests had anything to do with Soofi eventually dropping out of college. “I never expected my son would throw his life away like this,” said Soofi’s mother in a phone conversation with an ABC Texas affiliate Monday. She believed that Soofi had been brainwashed by Elton Simpson into becoming a radical jihadist.